David Willem de Villiers was born on 30 November 1919 in Villiersdorp, where he also attended school. He studied at the Universities of Stellenbosch (BA, BD, DD) and Amsterdam (DTh). 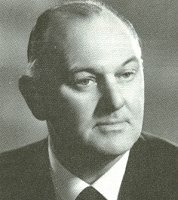 D. W. de Villiers was Professor of Theology at Stellenbosch University from 1970 - 1984. He was editor of the Nuwe Kategetiese Handboeke, Chairman of the S.A. Numismatic Society and member of the Stellenbosch Heemkring. 1957: Die Kategese in die Ned. Geref. Kerk in S.A.